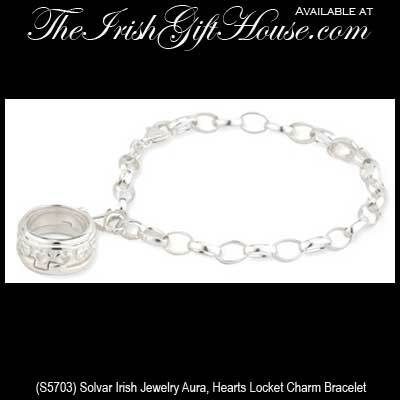 Solvar Irish Jewelry Aura Collection Sterling Silver Locket Charm Bracelet with a Heart Design. 5/8" Diameter, Lobster Claw Catch, 7 1/2" Link Bracelet, Gift Boxed. Beads are sold Separately.